O prémio é o pincel E25 da Sigma. O sorteio é internacional, pois o prémio é enviado pela Sigma. O sorteio acaba no dia 20 de Agosto. The prize is the brush E25 from Sigma. 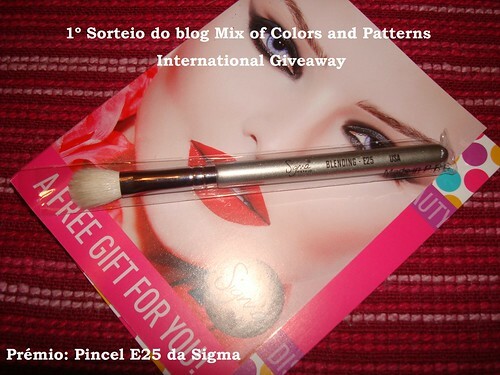 The giveaway is international, because the prize is sent by Sigma. Leave a comment on this post with the follower name, e-mail and, if you have, the link to the site where you made the disclosure. The giveaway ends on August 20th. Nome de seguidor: Little J.